A series of hoax anthrax letters are sent to Fox News commentators Bill O’Reilly and Sean Hannity. Hannity will later say he began receiving the letters in the winter of 2000 and then a second batch in August 2001. 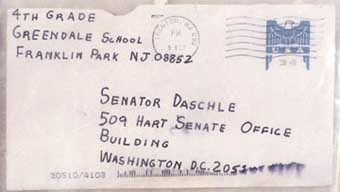 Most of them were sent from a postmark in Indianapolis, Indiana, but “one or two were from Trenton,” New Jersey, where the deadly anthrax letters will be sent from shortly after the 9/11 attacks. The FBI will later allow the New York Post to see copies of these letters, which have block handwriting sloping down to the right and other features remarkably similar to the later letters containing real anthrax. Hannity will later say: “When I saw the Tom Daschle envelope and the Tom Brokaw envelope, I immediately was stunned. It was the exact same handwriting that I had recognized.… When I saw it I said, ‘Oh my God, that’s the same guy.’” [New York Post, 11/1/2001; NewsMax, 11/1/2001] The letters have yet to be made public. There is no return address and the word penicillin is misspelled. The letter is opened on October 12, turned over to the FBI the same day, and tests positive for anthrax the next day. Several days later, an employee at the New York Post is diagnosed with cutaneous anthrax. 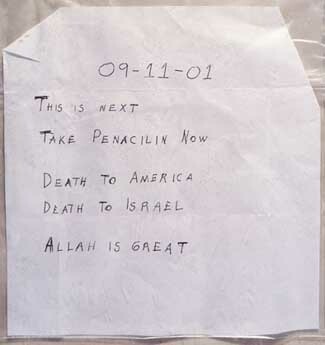 An unopened letter is found at the Post’s editorial office, addressed to “Editor.” It also is found to contain real anthrax and the exact same message as the Brokaw letter, and was postmarked on the same day and from the same location. That same week, an employee at CBS News and the infant son of an ABC News employee are diagnosed with anthrax infections, but no letters are found in their New York offices. It is presumed those letters are mailed with the other two, but are thrown away. Also, several employees at a Florida building containing the offices of the Sun, a tabloid, get sick with anthrax infections. However, no letter is found there either. The victims at the Sun suffer from the more deadly inhalation anthrax instead of cutaneous anthrax, suggesting that letter could be sent separately. That letter appears to be directed at the National Enquirer, another tabloid owned by the same company as the Sun, but was redirected to the Sun due to a recent relocation of the Enquirer’s offices. [New York Times, 12/5/2001; Vanity Fair, 9/15/2003] A second wave of anthrax letters follows in early October (see October 6-9, 2001). Ayaad Assaad. [Source: Salon]Three days before the anthrax attacks are first made public, a letter is received by the FBI in Quantico, Virginia, warning that Dr. Ayaad Assaad, employed until 1997 (see May 9, 1997) as an anthrax researcher at USAMRIID, the US Army’s top bioweapons laboratory at Fort Detrick, Maryland, is a “‘a potential terrorist,’ with a grudge against the United States and the knowledge to wage biological warfare against his adopted country.” This is the latest in a series of verbal attacks against Assaad since the early 1990s, which includes anonymous, long hateful and derogatory poems about him (see 1991-1992). The author of the letter says he is a former colleague of Assaad. The letter seems like a not-very-subtle attempt to frame Assaad for the anthrax attacks about to come. The letter strongly suggests the attacks could have been by someone at USAMRIID with a long time grudge against Assaad. [Hartford Courant, 12/9/2001; Salon, 1/26/2002] The FBI questions Assaad about the letter one day later (see October 3, 2001). Scientist Ayaad Assaad is interviewed by the FBI. Just one day before, the FBI received a letter that was mailed to an FBI office on September 26 (see September 26, 2001) and seems to point the blame for the upcoming anthrax attacks at Assaad. 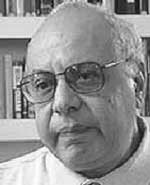 He is living in Washington, DC, at the time, and is interviewed by FBI agents Mark Buie and Gregory Leylegian at the FBI’s Washington field office. His lawyer, Rosemary McDermott, is also present. The agents read him the entire letter aloud and briefly show it to him, but will not allow him to make a copy of it. The one page, single-spaced letter says “Dr. 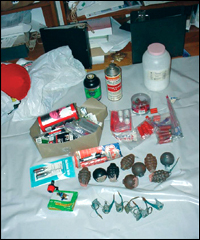 Assaad is a potential biological terrorist,” and he is planning to mount a biological attack against the US. It adds he has the “means and will” to succeed. Assaad worked at USAMRIID, the US Army’s top bioweapon laboratory, until he was laid off in 1997, and the letter gives accurate details about Assaad’s security clearances when he worked there. Since 1997, Assaad has worked at the Environmental Protection Agency, and the letter gives accurate details about his job there as well. The letter mentions slightly inaccurate details about Assaad’s commute from his home in Frederick, Maryland, to his EPA job in Virginia. The letter is not signed. On October 3, 2001, doctors determine that Robert Stevens in Florida has been infected with anthrax (see October 3, 2001). A culture of anthrax bacteria is grown from a sample of his spinal fluid and quickly flown by corporate jet to Paul Keim. Keim is a geneticist at Northern Arizona University who had recently developed a means to distinguish between strains of anthrax. He and his team gets the sample on October 4 and work all night. By Friday morning, they tell investigators that it is the Ames strain of anthrax. [Philadelphia Inquirer, 9/1/2008] The media will first report that the anthrax was the Ames strain on October 10. [Associated Press, 10/10/2001] Despite Keim’s findings, the FBI will approve the destruction of a vital repository of Ames samples, also on October 10 (see October 10-11, 2001). October 5: Robert Stevens, 63, an employee at the Sun, a tabloid based in Florida. October 21: Thomas Morris Jr., 55, a postal worker in Washington, DC. 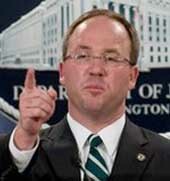 October 22: Joseph Curseen Jr., 47, a postal worker in Washington, DC. October 31: Kathy Nguyen, 61, a hospital employee in New York City. November 21: Ottilie Lundgren, 94, of Oxford, Connecticut. Twenty-eight congressional staffers test positive for anthrax. The Senate office buildings are shut down, followed by the House of Representatives. [South Florida Sun-Sentinel, 12/8/2001] None of the staffers are killed by the anthrax attacks (see October 5-November 21, 2001). No Correction - But even though it emerges that bentonite was never actually detected in the anthrax samples, ABC News will not correct its story until after it is heavily pressured to do so in late 2008 (see August 6, 2008). Scores of family planning clinics in at least 12 states have received letters containing anthrax threats, according to officials of feminist and abortion-rights organizations. Eleanor Smeal of the Feminist Majority Foundation says that over 200 clinics and advocacy organizations received letters in early November, all delivered in Federal Express envelopes. The envelopes that were opened contained a suspicious white powder and letters signed by the Army of God (AOG), a violent anti-abortion group (see 1982). This was the second such mailing in recent weeks; the first mailing was comprised of some 280 letters containing threatening letters and white powder purporting to be anthrax. None of the powder in any of the envelopes contained real anthrax; the letters were apparently hoaxes. Some of the letters in the latest mailings said: “You’ve ignored our earlier warnings. You’ve been exposed to the real thing. High-quality.” Groups targeted by the mailings include the Feminist Majority Foundation, the Center for Reproductive Law and Policy, Catholics for a Free Choice, Advocates for Youth, and the American Association of University Women. The persons responsible for the mailings somehow obtained the account numbers of two pro-choice organizations, the Planned Parenthood Federation of America and the National Abortion Federation, and used those accounts to pay for the mailings. The mailings have been traced to at least three drop-off locations in Virginia and Philadelphia. More packages are believed to be en route, and Federal Express is trying to intercept them. “I think the people responsible are despicable,” says Vicki Saporta of the National Abortion Federation. “They actually used our account number and our address, so our members would feel comfortable opening them.” Gloria Feldt, president of the Planned Parenthood Federation of America, says: “These letters are designed to terrorize us, and disrupt our work and our lives. That’s terrorism, plain and simple, and we take it very seriously.… The fact that they would forge the names of our staff members to terrorize employees is truly evil. Their heinous activities will not succeed.” Brian Emanuelson of the Connecticut Department of Environmental Protection says, “These were intended to be a threat to scare people and we want to make sure this is not what they say it is.” [CBS News, 11/9/2001] The anthrax mailings were from anti-abortion activist and AOG member Clayton Waagner (see 1997-December 2001). Ayaad Assaad. [Source: Public domain]In mid-October 2001, the FBI hires professor Don Foster to help with the anthrax attacks investigation because he is an expert at discovering the authors of unknown texts by an analysis of word usage. He has already helped the FBI with many cases. In early December 2001, he reads a newspaper article about a letter mailed shortly before the anthrax attacks became publicly known that accuses former USAMRIID scientist Ayaad Assaad of planning to launch a biological attack on the US (see October 3, 2001). FBI investigators are largely ignorant of this letter, even though the FBI already strongly suspects that the anthrax used in the attacks came from USAMRIID, the US Army’s top bioweapons laboratory (see December 9, 2001). Foster asks for and receives a copy of the letter, known as the Quantico letter because it was mailed to a government office in Quantico, Virginia. He looks through documents written by about 40 USAMRIID employees and finds “writings by a female officer that looked like a perfect match.” He writes a report to the FBI about this, but the FBI fails to follow through, as the Quantico letter has already been declared irrelevant even though few FBI investigators are even aware of it yet. Foster will write of his experience with the letter in a September 2003 article in Vanity Fair. [Vanity Fair, 9/15/2003] Apparently, this will lead to a renewed interest in the letter. The FBI will finally question Assaad about the letter in 2004, and will express their knowledge of Foster’s Vanity Fair article when they talk to him. [Associated Press, 5/16/2004] However, it is unknown if the woman Foster identified is ever questioned. The FBI does show particular interest in questioning one person about the letter in early 2004, but that person is a man (see February 11-March 17, 2004). 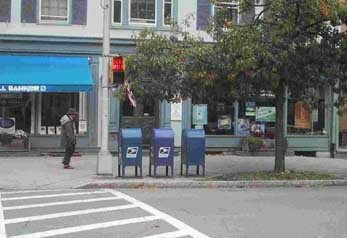 The FBI claims the anthrax letters were sent from the middle mailbox of these three mailboxes on Nassau Street, Princeton. [Source: Richard Smith]In mid-October 2001, investigators mistakenly believe that the anthrax letters were mailed from somewhere in West Trenton, New Jersey and are said to have narrowed down the location of the mailbox to a one square mile radius. [New York Times, 10/19/2001] But around December 2001, contamination at a New Jersey postal processing center indicates that the letters in the anthrax attacks (see October 5-November 21, 2001) had been mailed on one of a limited number of routes near Princeton, New Jersey. However, seven months pass before FBI investigators test hundreds of mailboxes and identify the mailbox where the letters were mailed from. Congressman Rush Holt (D-NJ), whose congressional district includes the area where the letters were mailed from, will later say that he was surprised by how slow and shoddy the investigation was. He will point out, “Within two days they could have dispatched 50 people to wipe all those mailboxes.” He will also say that he was surprised when anthrax was found in his Congressional office in October 2001, but investigators never returned to conduct systematic testing to trace the path of the anthrax spores. [New York Times, 8/4/2008] The FBI tests about 600 mailboxes for several weeks and finds and removes the right one in early August. It is located in Princeton, New Jersey, on the corner of Nassau and Bank Streets and opposite the Princeton University campus. [New York Times, 8/14/2002] However, there are doubts that the right mailbox was identified (see August 14, 2002). On December 17, 2001, White House Press Secretary Ari Fleischer speaks of the anthrax attacks investigation and says that it is “increasingly looking like it was a domestic source.” On January 13, 2002, Homeland Security Director Tom Ridge similarly states, “the primary direction of the investigation is turned inward.” [Salon, 2/8/2002] This is confirmation of earlier reports that the investigation is focusing on the profile of a disgruntled American scientist acting alone (see November 10, 2001). The FBI is now investigating “whether potential profit from the sale of anthrax medications or cleanup efforts may have motivated” the anthrax attacks (see October 5-November 21, 2001). Battelle, a company doing anthrax work for the CIA, mostly at the Battelle Memorial Institute in Ohio, is the company most discussed in a Washington Post story about this. Dozens of scientists at Battelle have been interviewed by the FBI already because it is one of only a few places where weaponized anthrax has been made. [Washington Post, 12/21/2001] The story comes one day after ABC News reported a Battelle scientist is under investigation for the anthrax attacks, but that story is quickly denied (see September 18-28, 2001). Ivins alone controlled anthrax flask RMR-1029, which matches the anthrax used in the attacks (see February 22-27, 2002). Taylor says RMR-1029 was “created and solely maintained” by Ivins and that no one else could have had access to it without going through him. Ivins worked an unusual amount of overtime in his lab around the time the anthrax letters were mailed and he could not give a good reason why. In counseling sessions, he allegedly threatened to kill people. He also sent a threatening email to a friend involved in the case. He sent a defective anthrax sample when asked to send a sample to investigators (see February 22-27, 2002). He was having severe psychological problems at the time of the attacks. At one point, he told a colleague that he “feared that he might not be able to control his behavior” (see April-August 2000 and September-December 2001). Print defects in envelopes used in the letters suggest they were bought at a post office in 2001 in Frederick, Maryland, where he had an account. He was re-immunized against anthrax in early September 2001. He sent an e-mail a few days before the anthrax attacks warning that “Bin Laden terrorists” had access to anthrax. This e-mail allegedly used similar language as the anthrax letters. Dr. Gerry Andrews, who once served as Ivins’s boss at USAMRIID, says, “Despite the FBI’s scientific and circumstantial evidence, I and many of Dr. Ivins’s former colleagues don’t believe he did it and don’t believe the spore preparations were made at [USAMRIID]” (see August 1-10, 2008).